WELCOME TO OUR NEW-LOOK WEBSITE! At Tsunami Martial Arts we offer a variety of Martial Arts classes suitable for all; no matter what your age, experience or level of physical fitness. Our friendly school believes in the positive motivation and encouragement of all students. Our adults classes promote health, fitness, self defence and traditional martial arts, whilst our children's classes - Little Ninjas and Karate Kids - aim to develop character, in addition to teaching physical skills for anti-bullying and self defence. We encourage participation of the whole family and have many parents training in our adults classes. The classes are safe, fully insured and taught by qualified instructors. Starting from a small school of around 10 people in Stoke Poges Buckinghamshire back in 1980 our club has grown and spread throughout West London and now also in North Norfolk, teaching every weekday to over 400 students of all ages and abilities. Our popular Little Ninjas class is an age specific curriculum that is designed to teach children, aged 4 - 6, important life skills in a safe, fun and exciting environment. Our popular Karate Kids classes, for children aged 7+, teaches effective self defence and promotes anti-bullying through traditional Shotokan Karate. Our popular adult classes are taught separately to the children as both syllabus and learning style are different. 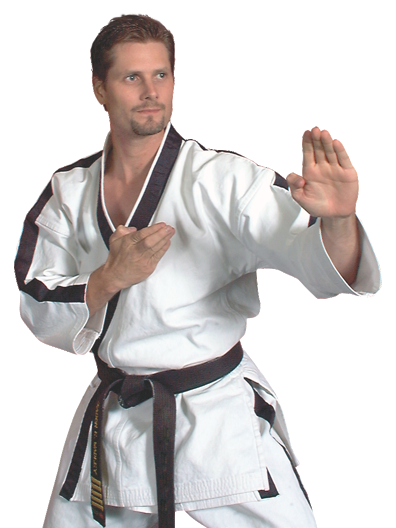 Qualified instructors teach traditional Karate, Kung Fu and effective self defence. Before joining we will provide a FREE introductory lesson to help you make the decision and answer any questions. If you would like to discuss the classes, or to book a trial lesson then please contact us. The ultimate aim of the art of karate lies not in victory or defeat, but in the perfection of the characters of its participants." Happy Kids = Happy Parents! The discipline is fantastic! Ryan has improved greatly with his concentration since starting at the school and we hope that he goes from strength to strength with the first class tuition of Paul and William."